2013. 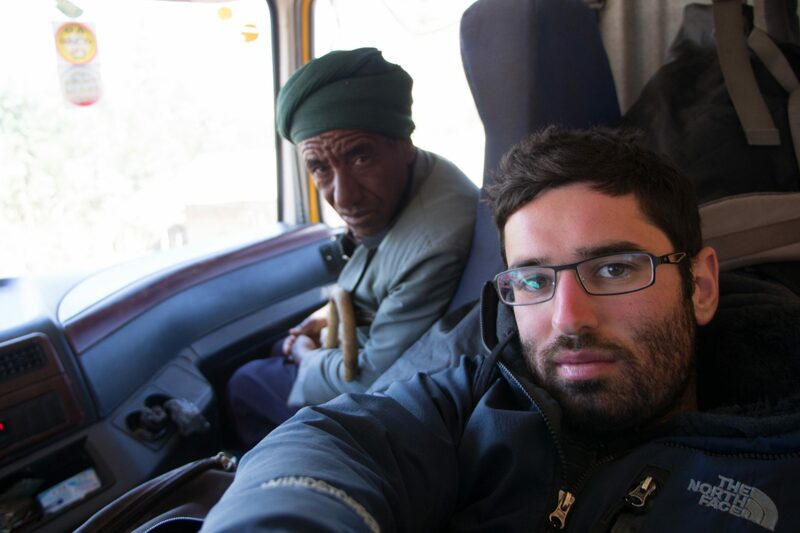 A long backpacking trip in Africa. 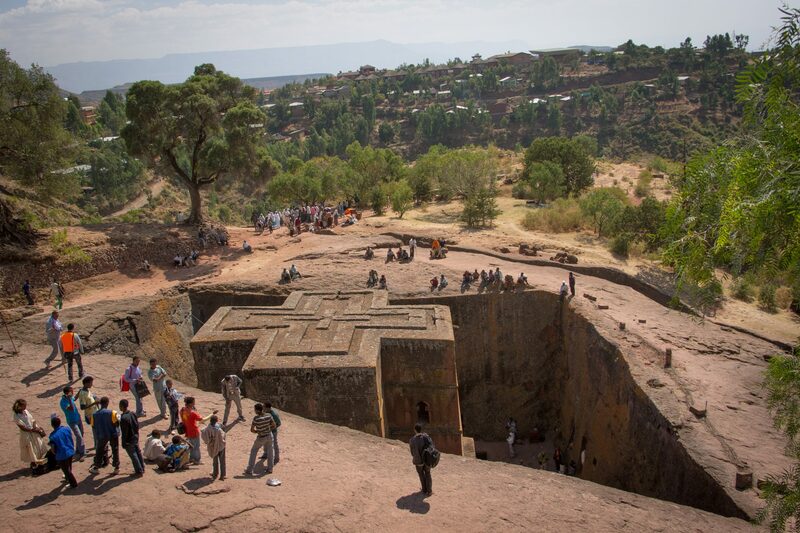 First destination: Ethiopia. 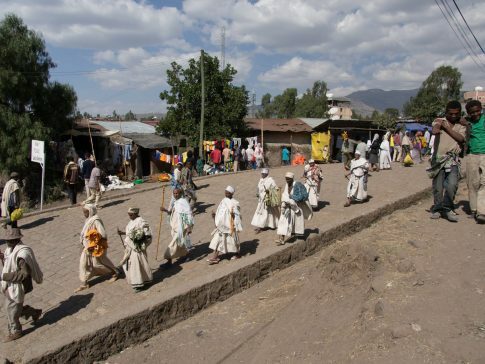 Shortly after I landed in the capital city Addis Ababa, I decided to head to the northern parts of Amahra district. Over there, there is a special place with an historic treasure to be explored. 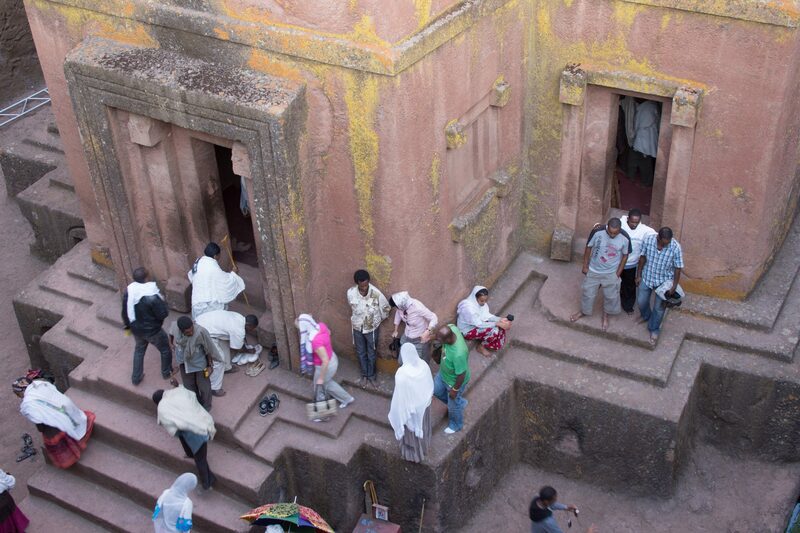 The town of Lalibela is home to some of the most impressive rock hewn churches in the country. 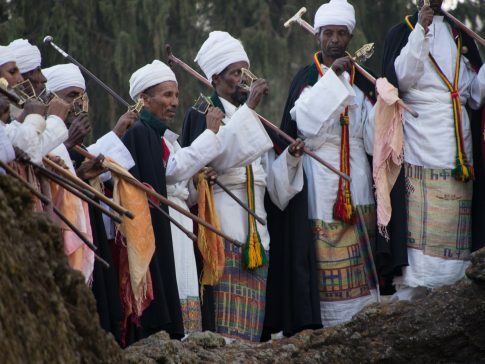 Annually, for only a few days, it attracts pilgrims from all corners of this vast nation to celebrate the Ethiopian Christmas(Gena). The road was long and sometimes rough. 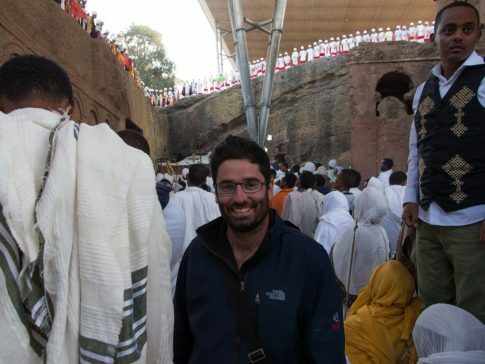 I took a bus of 10 hours to the city of Bahar-dar, than another random hitch-hike on a truck before I finally arrived at the very right time of year to Lalibela. 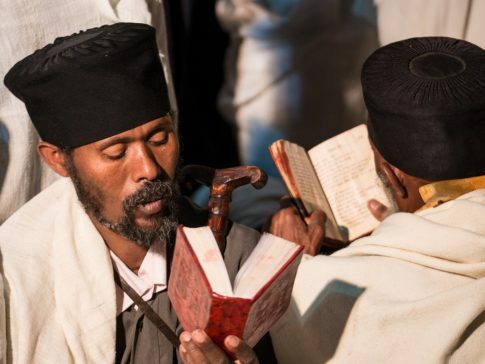 The “Gena” is a festivity following 43 days of fast from meat, which is carried out to cleanse the body and soul in preparation for the day of the birth of Christ. 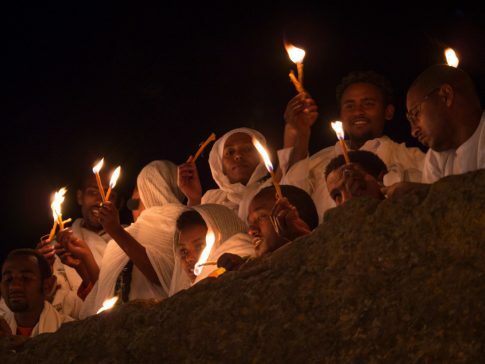 While all over the world Christmas is celebrated on December 25th, in Ethiopia that is on January 7th as the country has its own calendar. 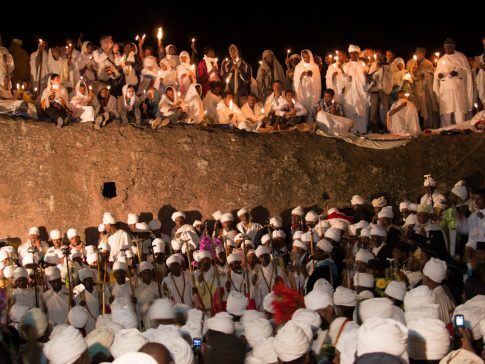 While I reached Lalibela on a truck, thousands upon thousands of people literally walked, some for weeks and barefoot, to attend “new Jerusalem” on this special date. 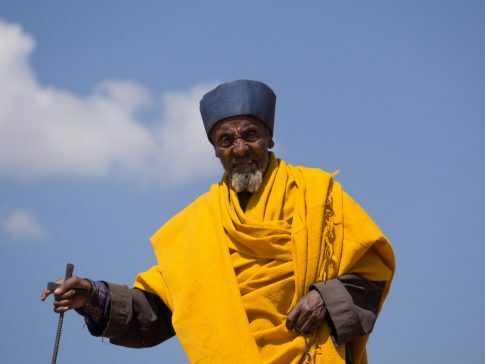 In the 12th century AD King Lalibela, Ethiopian leader and Christian, ordered the building of a second Jerusalem when the original was captured by Muslims in 1187 AD. 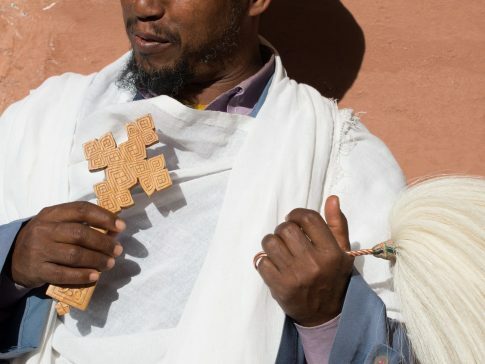 The results were astonishing; 11 interconnected churches, carved into the stone only by hand. 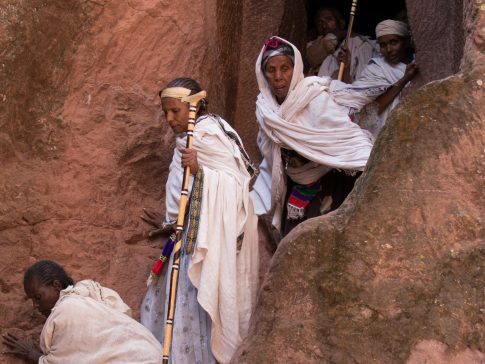 But unusually, Lalibela’s churches were dug straight into the ground. Hewed out of solid rock. The visuals of the place were surreal. Carving it all by hand, almost one thousand years ago, is an indescribable accomplishment, representing the strength of the human spirit and love of God. Strolling in the streets amongst the dedicated believers was a powerful experience. 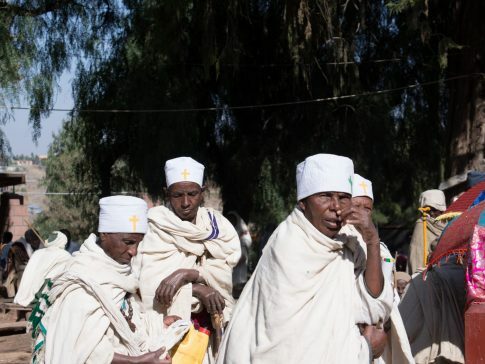 The Gena is an orthodox and happy holiday, people wore traditional white dresses, covering almost their entire body. 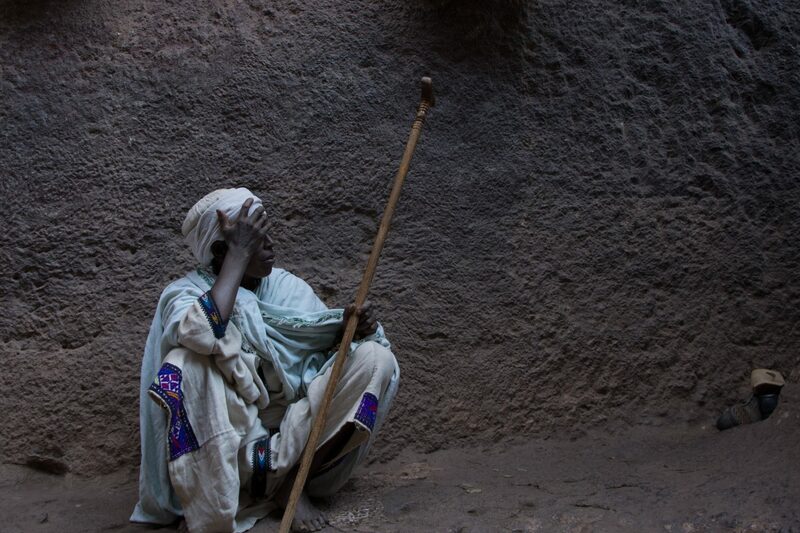 Many of the prayers were poor, dedicated, strong believers, happy and humble people, reading their bible and singing holy scripts. 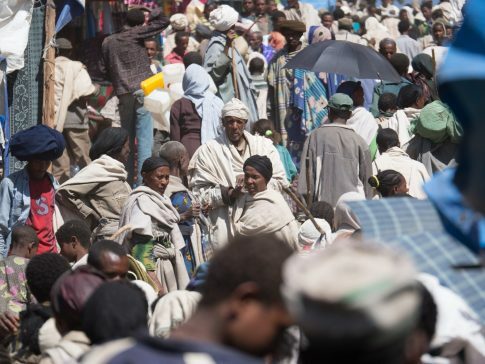 They come for the pilgrimage hopefully once in their life, if they can afford it. The town was filled with an atmosphere of divinity. 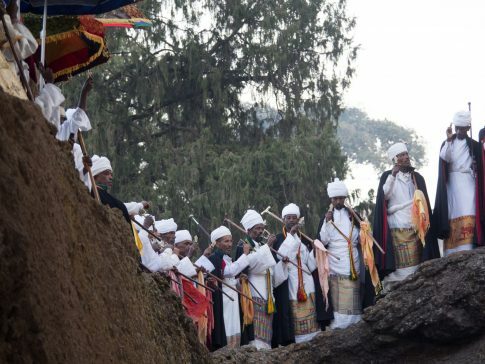 In fact, it often felt like the place hasn’t changed for centuries, as traditional songs were sang by the priests in the same way as they had for hundreds of years. As night fell, the highlight began. Throughout all the churches, the main mass took place. People were excitingly moving through the tunnels, attending several churches at a time, praying, reading bibles and singing. It was very crowded but I managed to find a tiny spot in the main arena. 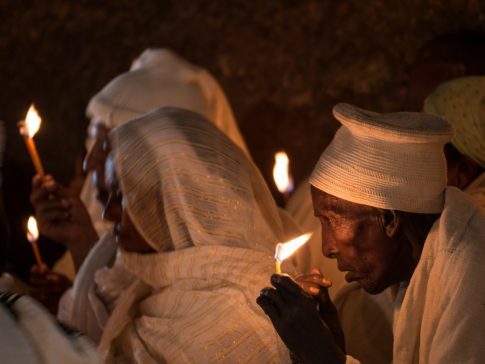 While everyone lit their candles, the priests were reading holy scripts and the atmosphere reached a peak. 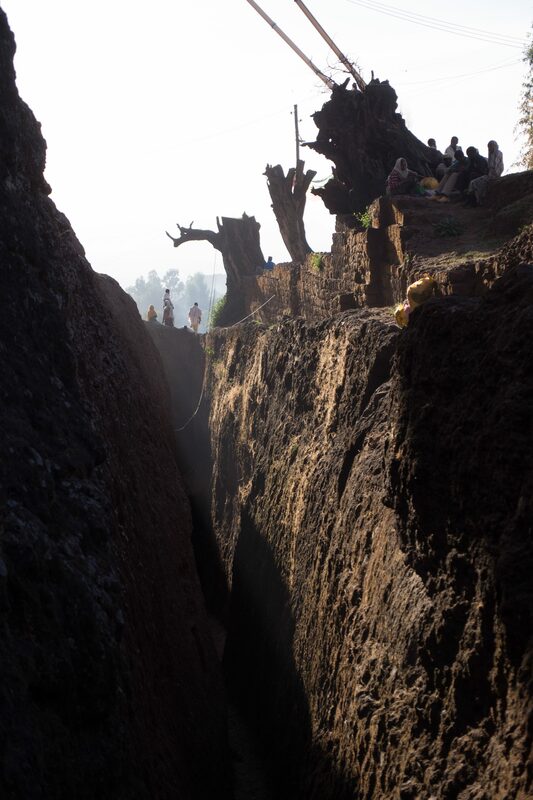 In the morning, the ceremony ended and people slowly filter out of Lalibela, shrinking the town’s population by four or five. 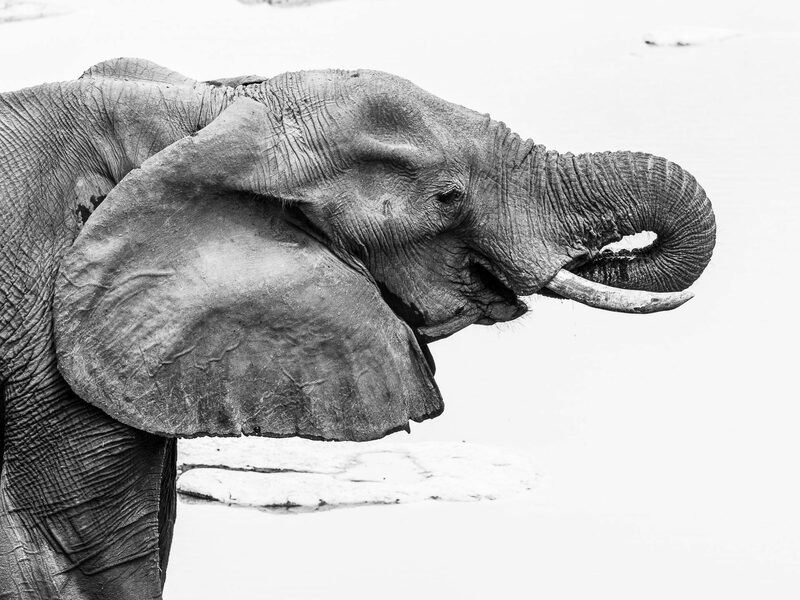 Few experiences in life deeply impresses you. They are usually so powerful, even years after, it is easy to immediately recall them and feel their energy and intensity. 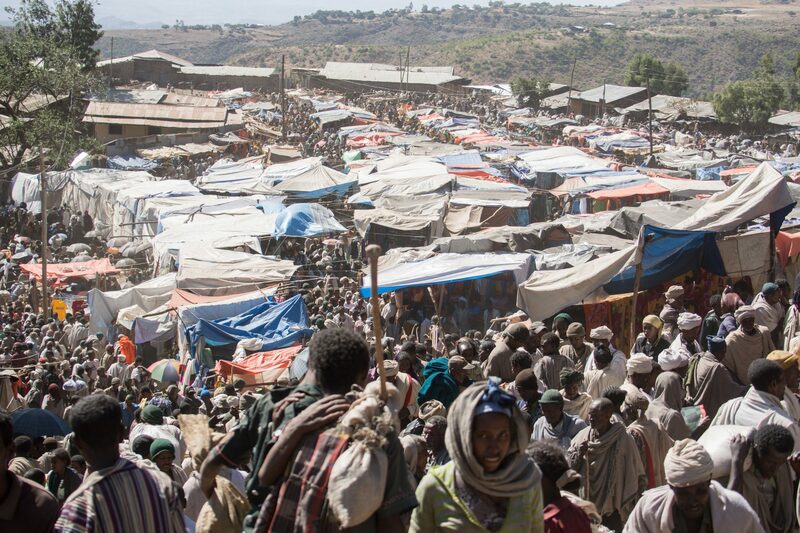 Lalibela during the Gena festival was one of them. For few hours I felt as if time rewind 2000 years, in a ceremony untouched by modernity, and with incomparable vibes. It was magical. 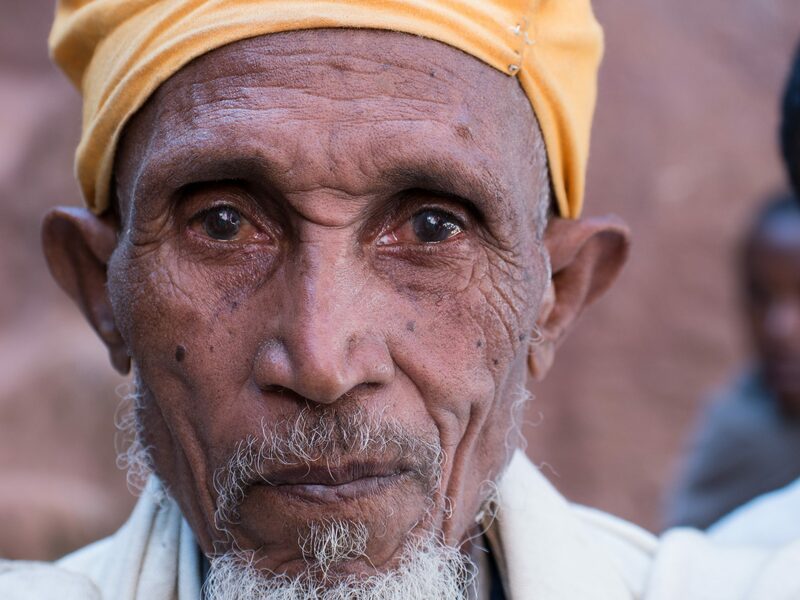 There’s so much to learn and observe in a different culture.